When you spend a lot of time in the kitchen, you need appliances and tools that can help you in completing your tasks faster. One of the appliances you shouldn’t miss is the meat grinder. Now, don’t settle for just any meat grinder. Make sure to invest only in the best meat grinders for home use. 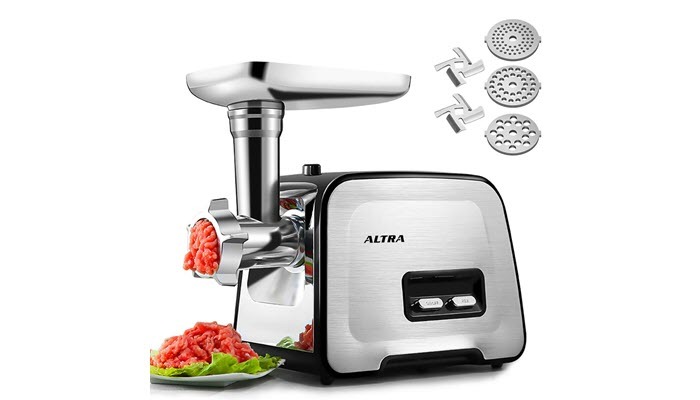 Altra Electric Meat Grinder is designed with a really powerful engine to help you mince more meat in less time. Its engine carries up to 350 watts of power (2000W max), making it a convenient and fast machine. Despite its powerful engine, this machine won’t destroy your meat’s fiber. It also gives you the option to choose your ideal size for making stuffing. 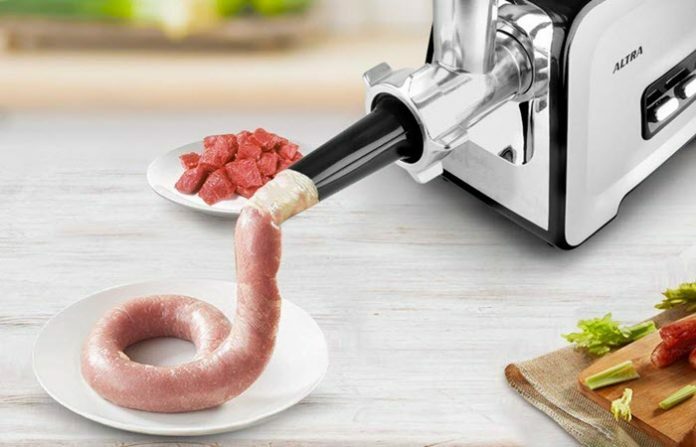 For example, you can use the appliance’s Kibbeh attachment and sausage funnels to create meatloaf, meatballs, burgers, and sausages with ease. And there’s no need for you to worry about your safety. You see, the machine is made of food-grade material. It’s resistant to corrosion and offers really durable quality. However, there’s one thing you have to keep in mind when using Altra Electric Meat Grinder. For your safety and to keep the machine working as long as possible, don’t let it work continuously for 10 minutes or more. Homeleader Meat Grinder, on the other hand, is a great choice for those who want to lessen the time they spend on food preparation. This machine has these 3 different cutting accessories to let you work with meat, fish, and vegetables. And like our top pick, this one has food grade materials. 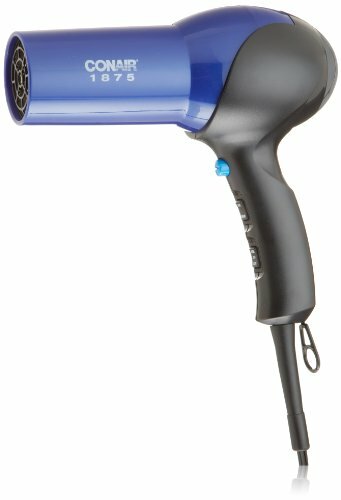 It’s also safe to use with its internal circuit breaker that works to prevent the motor from overheating. The machine comes with 3 different cutting plates to enable you to create the size you want for your food. In addition to those cutting plates, you will also get a tomato juicer and a vegetable shredder, making the machine multi-functional. To help ensure that you get the best possible results, it’s important that you clean the plates before using the machine. You also need to remember to clean the meat grinder right after use. When cleaning, avoid placing the machine in your dishwasher as doing so will just cause its coating to become discolored. This can happen with aluminum oxidation. The only parts you can safely put in your dishwasher are the plates and cutting blades. Betitay Meat Grinder is a heavy duty meat grinder you can get for your kitchen. Despite its power and capabilities, the machine is one of the few meat grinders that work with low noise. So if you like to prepare food when your kids are still asleep, this one makes an excellent choice. Another nice thing about this meat grinder is its cutting blade and plates. They are made of stainless steel which means that they are durable and long-lasting. Of course, the machine’s lifespan will still depend on how you actually take care of it. 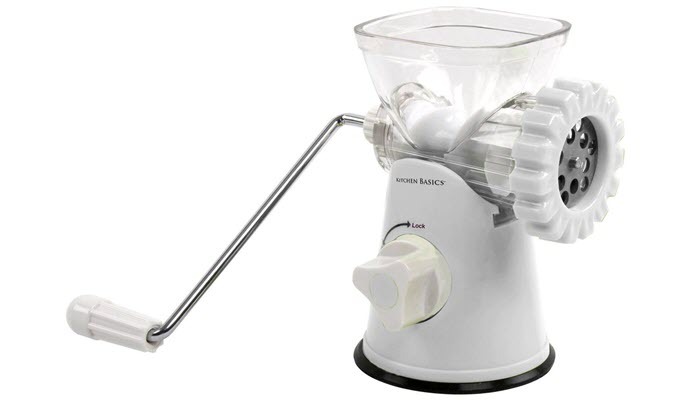 For a budget-friendly option, go with F&W Kitchen Basics 3-In-1 Meat Grinder. This one is easy to use and clean. It’s dishwasher safe so you won’t have to spend as much time cleaning the machine. The grinder comes with 2 stainless steel screens, 2 types of mincing plates, and a free bowl. 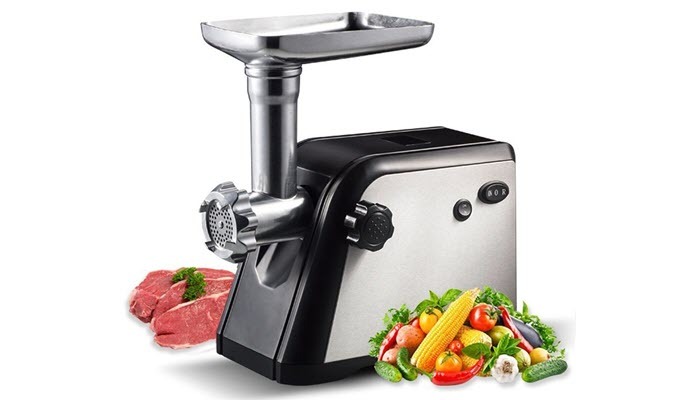 It’s designed to help you easily and quickly grind meat and vegetables. You can even use it to puree vegetables for you babies. While this grinder works, don’t expect it to perform as good as the heavy duty ones. It creates less pressure so stuffing can take a longer time and more effort. However, given how affordable this one is, you’ll still find the appliance a good investment. Remember to place your grinder and all of its accessories and parts in the freezer for a minimum of 1 hour before use. Keep the meat well chilled as well. This way, the fat won’t leak out and your meat will not come out similar to a cooked texture which is dry and pulpy. If you chop your meat, you will just end up smooshing everything, leaving you with a chewed up texture. Trimming the meat will can help avoid that. In trimming, make sure that you are using sharp knives to make the process faster and easier to do. Check out our tips on how you can resharpen your knives and what products work well for that task. Using a plate with pieces of dried meat from days ago can just make you and your family sick. With that, remember to remove the plates and wash every part of your grinder in between use. Using a dull blade will just smear meat. This makes it important that you resharpen your blades if you notice that they are getting way too dull. Ideally, you can do that once a year. If you don’t like the idea of constantly getting your blades resharpened, then consider buying some replacement blades. For us, the best meat grinders for home use should be easy to use, work fast, and easy to clean. 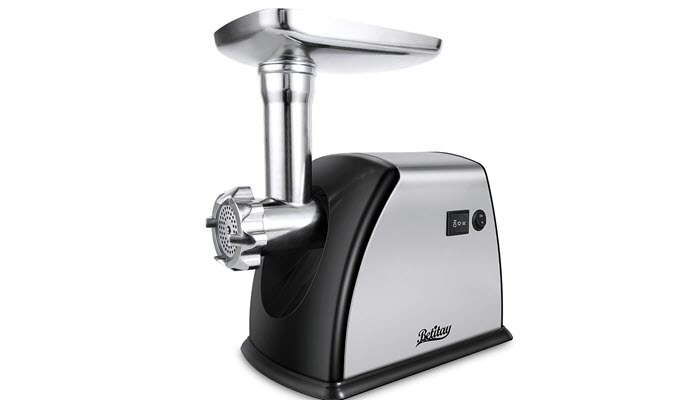 Our top pick is the Altra Electric Meat Grinder since it meets those criteria. Additionally, it’s a powerful grinder, too. It can make food preparation easier and faster. 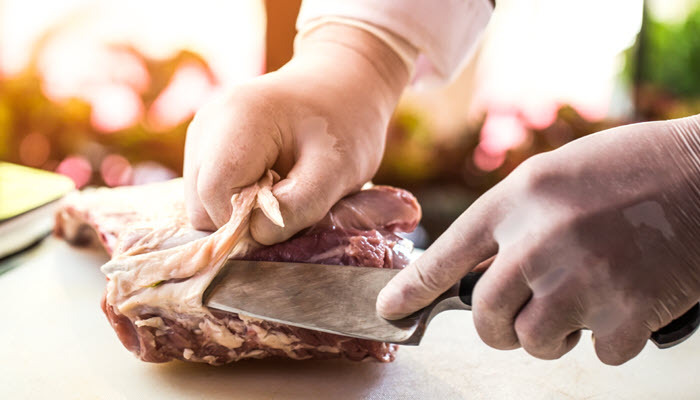 After picking the right meat grinder for you, make sure that you know how to properly take care of it. Remember to clean it regularly to keep it efficient and for your family’s health and safety.